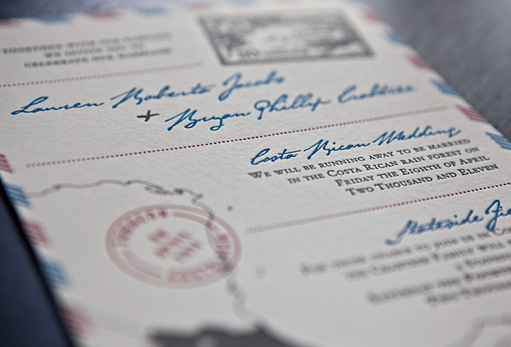 Invitation design for my Costa Rica wedding and following state-side reception. 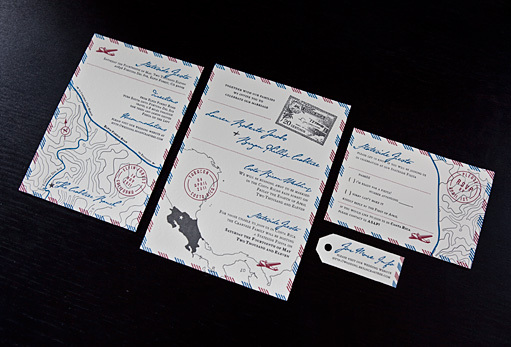 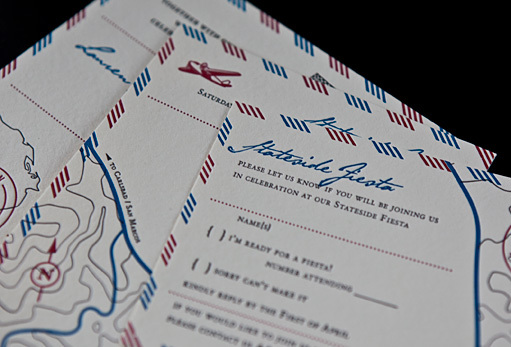 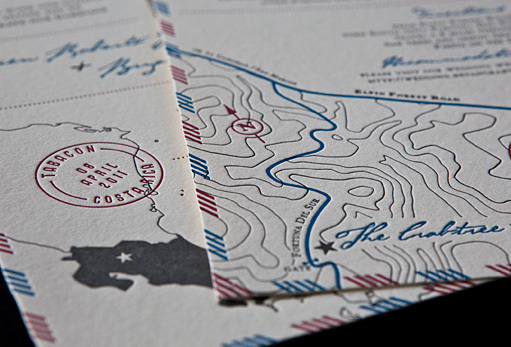 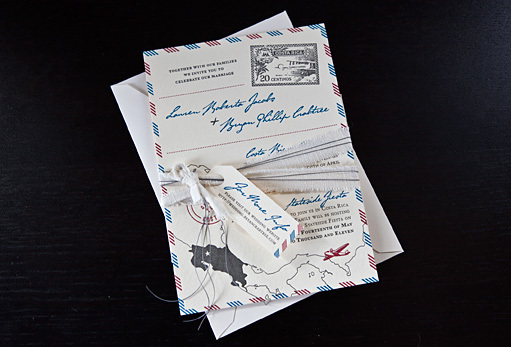 The invitations are 3 color letterpress on 110lb cotton card stock. 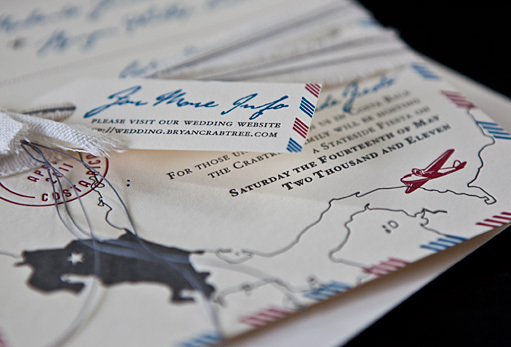 They were featured in the book Iron Beasts Make Great Beauty by Studio On Fire.